Silly Putty is a material based on a viscoelastic liquid silicone polymer that exhibits interesting physical properties. 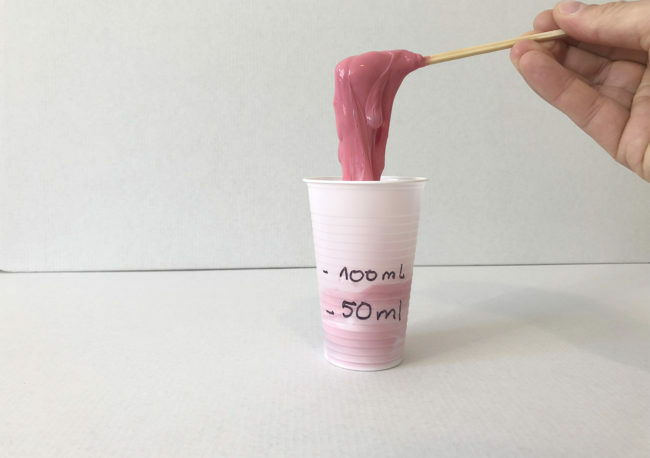 Being a type of non-Newtonian fluid it acts as a viscous liquid over a long time period but as an elastic solid over a short time period. The material, which was accidentally invented during World War II by Scottish engineer James Wright, was supposed to become a synthetic substitute for rubber. 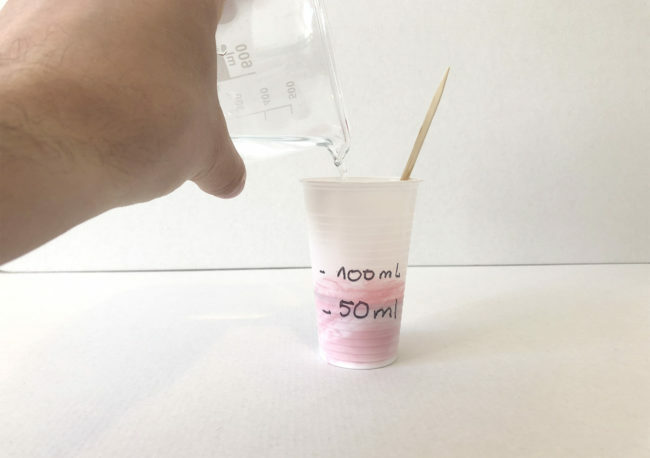 Pour 500ml of distilled Water into a pot or glass beaker. 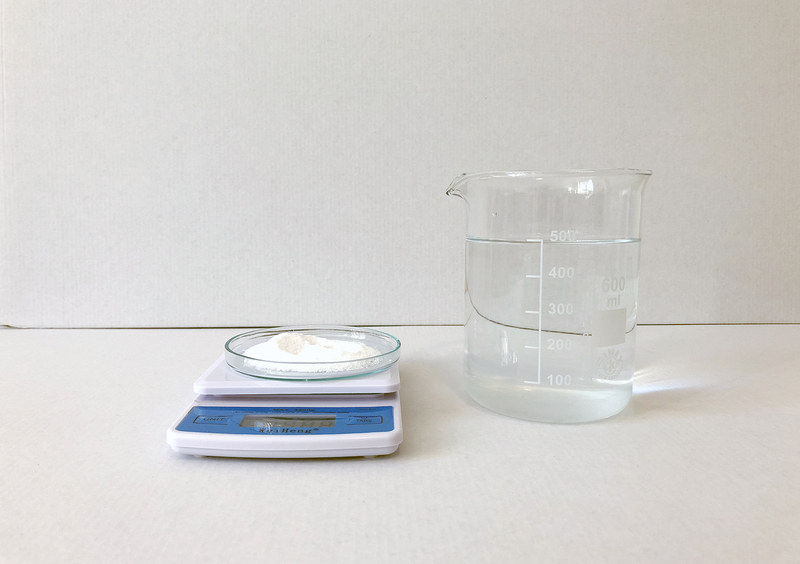 Add 10g of Borax powder and stir until it has completely dissolved. It might help to slightly heat the water. This will result in a 2% Borax solution. A higher Borax/Water ratio will create a less viscous material. 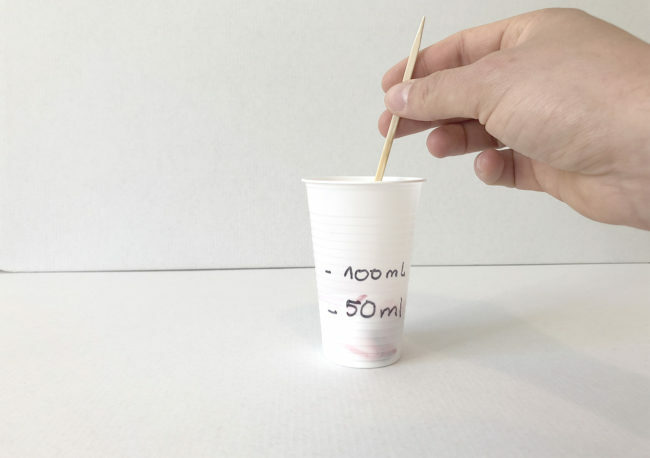 Add 50ml of white school glue into a plastic cup. 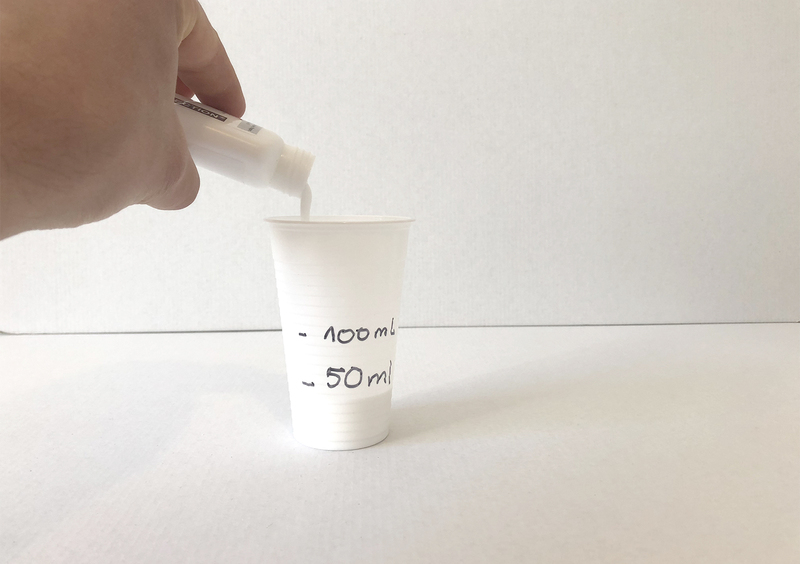 Any white school glue can be used as long as it is PVA (polyvinyl acetate) based. 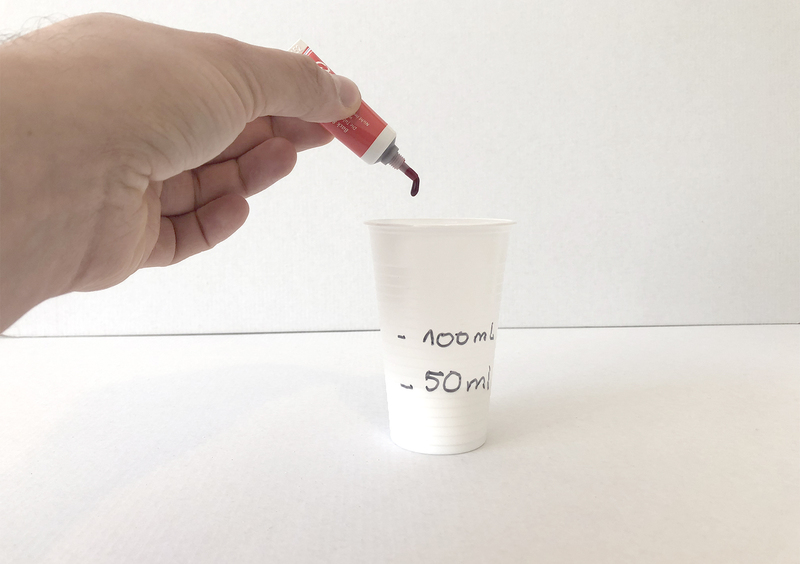 Now add your additives, which can be (food)color, pigments, iron particles (to make magnetic putty), etc. Stir until the additives have completely mixed with the liquid. 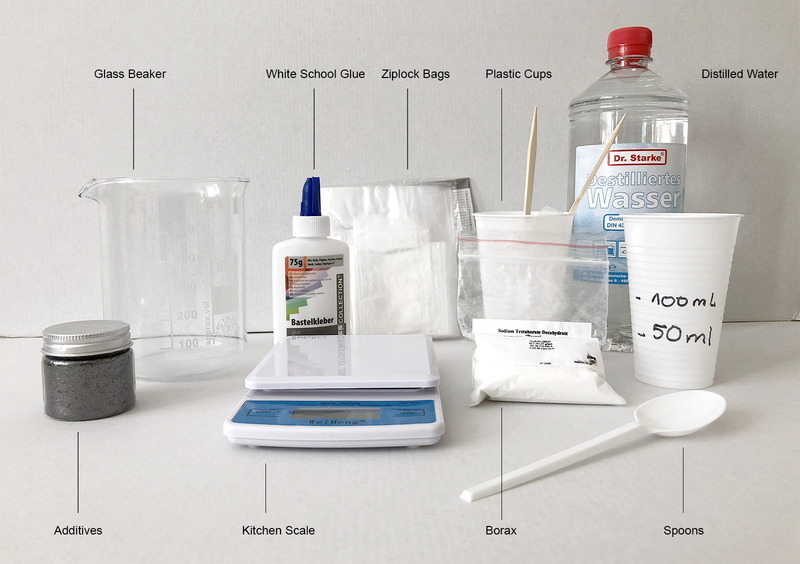 Add small amounts of the 2% Borax solution to the mixture and stir immediately! It often works best to have someone else continually stir while another lab partner adds the borate solution. 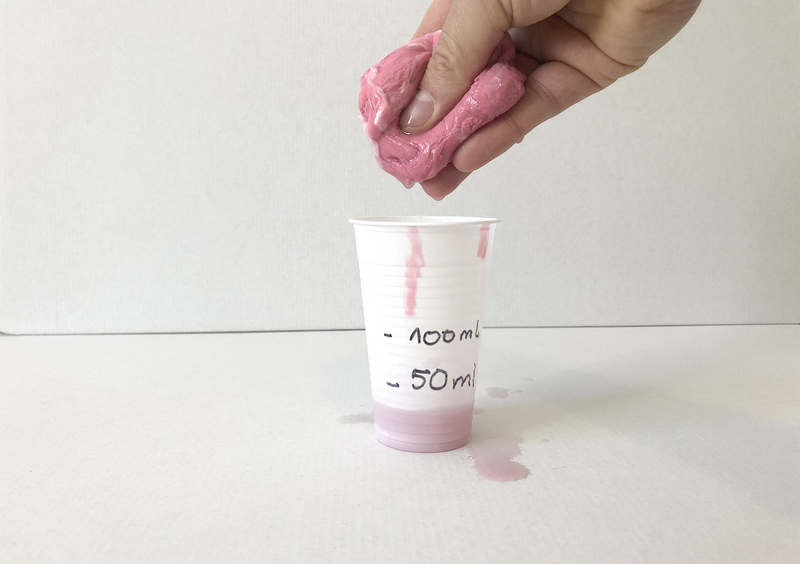 When it becomes difficult to continue stirring, remove the putty from the plastic cup (leaving any excess water in the cup) and knead the putty on a paper plate or in your hand until the desired consistency is reached. The paper plate helps to absorb excess water.